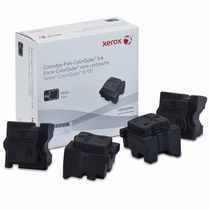 The Xerox ColorQube 8700 is a solid ink printer that helps minimize waste and also adds an innovative multifunction design with scanning and copying capabilities that are relatively new to its class of devices. Despite its quick maximum rated speed of up to 44 pages per minute, disappointing performance tests for the 8700 reveal slower printing averages. 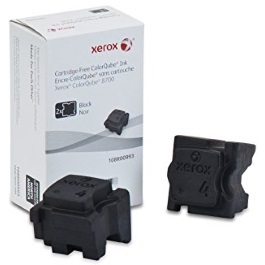 Other than its speed and high price tag, this unique color printer reduces Xerox 8700 ink waste and has an efficient design to support the creative needs of small or home offices. One of this unit's highlights is its large 7-inch touchscreen panel, which provides control over network and menu functions, as well as alerts on document progress and the levels of ColorQube 8700 printer ink remaining. 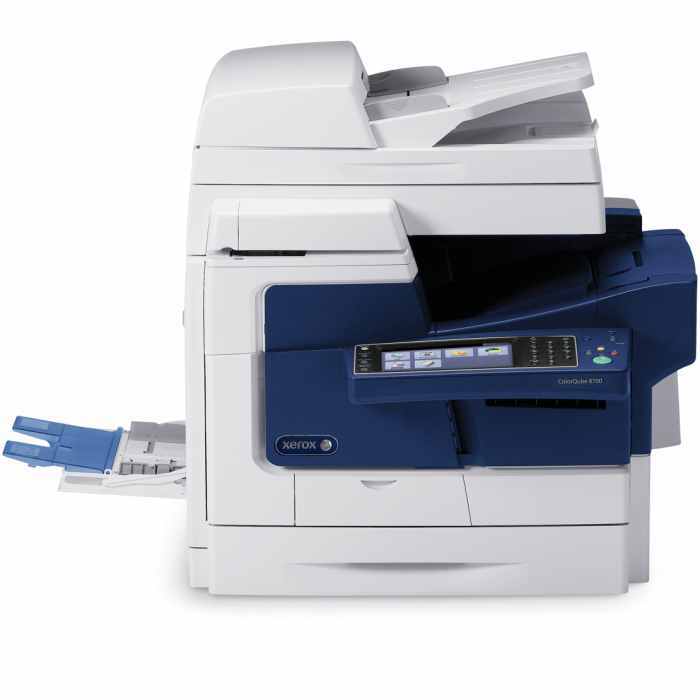 The device is able to print documents over a network and it can also scan to email, USB and to a folder on a PC. Experts were impressed by its Color by Words technology, which has advanced correction features that will allow users to make color changes while a document prints. The device is large, weighing over 100 pounds and measuring approximately 24x24x24 inches, but should fit well in most small offices. Paper handling is ample, with its standard input of 625 sheets that includes a 100-sheet multipurpose tray for specialty media. The device is also equipped with a 50-sheet automatic document feeder to support multiple-page scan jobs. Expert tests on its output quality reveal text, graphic and image results that are fairly average compared to similar printers. Graphics even tested a little above par with a fine resolution of 600x600 dpi using ColorQube 8700 printer ink. 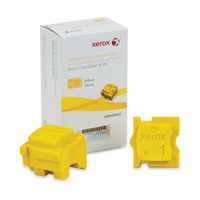 The device operates with 4 cyan, magenta, yellow and black Xerox 8700 solid ink sticks that eliminate the need for a cartridge. 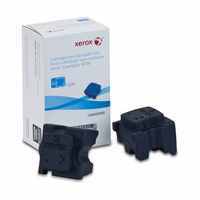 Each color ink can last up to 4,200 pages, and black Xerox 8700 ink sticks can print up to 9,000 pages. This unique all-in-one color printer offers plenty of management features, from its touch-sensitive LCD to its Color by Words adjustment technology. Small offices that want a versatile unit with a top-notch performance will benefit from the 8700's design, but its high price may put it out of reach of smaller budgets.